B.A., LL.B., LL.M., C.S., C.Arb. Harvey J. Kirsh is a recognized authority in construction law. He has been certified by the Law Society of Upper Canada as a “Specialist in Construction Law”, and has more than 40 years of experience in the arbitration, mediation and litigation of complex construction claims and disputes arising out of significant infrastructure, public-private partnership (P3), transportation, energy, resource, industrial, commercial, institutional, and residential projects, both domestically and internationally. Designated as a Chartered Arbitrator more than 30 years ago by the ADR Institute of Canada, he has extensive training, and Canadian, American and international experience, as both an arbitrator and a mediator. Harvey has been included in the Chambers Global list of Canada’s top arbitrators, and has the distinction of having been elected, as one of only several Canadians, as a Fellow of the College of Commercial Arbitrators, which is an elite organization of internationally recognized commercial arbitrators whose professional training and experience qualify them to undertake the most complex and difficult arbitration assignments. As for mediation, Harvey was featured in Who’s Who Legal as one of the “most highly regarded individuals” in Canada in Commercial Mediation, and as being “a construction specialist with a terrific reputation for mediating complex industrial, commercial, infrastructure and energy disputes”, and as “a famed practitioner in the field both domestically and internationally”. Harvey has also been selected as the recipient of the Ontario Bar Association’s Award of Excellence in Alternative Dispute Resolution. His most recent experience as an ADR neutral includes both international and domestic claims arising out of the construction of an international crude oil pipeline, an oil sands project in northern Alberta, a biomass cogeneration facility in the Maritimes, an airport improvement project in the Arctic, an Ontario solar power project, a commercial roofing system in New Jersey, a copper mine in Panama, a Virginia cement finish mill, an oil refinery in Utah, a gold mine in northern Ontario, a municipal water and sewage system in Brooklyn, sewage treatment plants in Halifax, a nickel processing plant in Newfoundland, a Canadian armed forces base, a hospital in the Bronx, a brewery facility in the Maritimes, and an upscale residential housing project in Ontario. He was also selected by NJ Transit and the Port Authority of New York and New Jersey to act as Chair of a Dispute Review Board, for both subsurface and surface contracts, relating to the construction of the $8.7 billion Mass Transit Tunnel from the suburbs of New Jersey to central Manhattan (although the construction project was ultimately cancelled by the State of New Jersey due to lack of funding). Harvey was also appointed by the Government of Ontario as Chair of “The Independent Expert Review of Certain Girders Manufactured for the Rt. Hon. Herb Gray Parkway”, whose mandate was to investigate and make recommendations regarding the safety and durability of certain girders used in the construction of one of the largest construction projects in Canada. 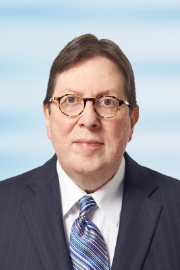 Harvey was the First President, a Founding Fellow and a Governor of the Canadian College of Construction Lawyers and is currently an Emeritus Fellow; and has also been elected as a Fellow of the American College of Construction Lawyers. A prolific writer and popular speaker, Harvey has authored numerous books and articles and has chaired many conferences and seminars in Canada and the United States on various aspects of construction law and alternative dispute resolution. He is also the Founding Editor-in-Chief of the Construction Law Reports (published by Carswell), the Founding Editor-in-Chief of Kirsh’s Construction Lien Case Finder (published by Lexis Nexis), and the Founding Editor of the Construction Law Letter (published by Lexis Nexis). For more than 20 years, Harvey has had the Martindale-Hubbell Peer Review Rating of “AV”, which indicates the highest possible rating in legal ability and ethical standards. He has been prominently and regularly featured as a leading practitioner in the fields of construction law, arbitration and mediation in Chambers Global; The Best Lawyers in Canada Directory; the Canadian Legal Lexpert Directory; the Lexpert/American Lawyer Guide to the Leading 500 Lawyers in Canada; International Who’s Who Legal—Construction; and The Cross-Border Construction and Projects Handbook. He has also been featured in the Lexpert Special Edition on Infrastructure as one of “Canada’s Leading Infrastructure Lawyers”. Harvey has also been an Adjunct Professor at the Faculty of Law, University of Toronto, where he created and taught a course entitled “From Blueprints to Buildings: Legal Issues in the Construction Industry”. © 2017 Kirsh Construction ADR Services Ltd.